I would like to introduce you to what is possibly the easiest to use, most effective hunting weapon you can make. 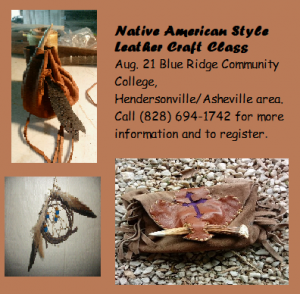 It is easy to make and is probably the oldest hunting weapon known to humankind. And I want to take some time to put it into a prehistoric/historic context for better understanding. It is one of my favorite weapons to produce and use. You will understand when you make and use a few. Generally it is called a rabbit stick. It is also often just called a throwing stick. Rabbit Sticks as defined by Dave Wescott are “…a simple tool used extensively by western natives and, in a modified version, all over the world. 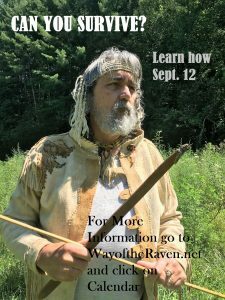 The [rabbit] stick was a tool designed, shaped and used for a specific purpose and lead the world as one of man’s earliest and longest lasting tools. 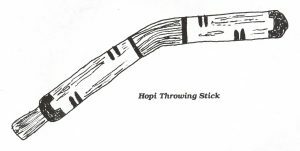 The rabbit stick was used by the ancient hunter and was passed to the next generation along with the skill, knowledge and insights needed to make it work.” The rabbit stick is basically a throwing stick used for the taking of small game. It also has been known to go by other names such as throwing club, killer stick, baton, the African knobkeri and as I shall discuss later, the well known boomerang of the Australian Aborigine. Its design basically consists of a stick of a medium to hard wood with either one end weighted by a thicker heavier end or a curve. The reason for the weighted end or curve was to impart momentum to the stick when thrown. The curved design as seen among the Hopi, Navajo, Luiseno and many Southwestern tribes as well as in the Australian and Egyptian cultures, seems to have the same effect as the weighted end without adding the additional weight and seems to actually be more effective in imparting momentum to the thrown stick. The Southeastern Indian Rabbit Stick as noted by Frank G. Speck (Catawba Hunting, Trapping and Fishing, 1946) by information obtained from Chief Sam Blue of the Catawba Indian Nation is made from green saplings of hickory and was between 12 to 18 inches in length. The round-sectioned rabbit stick used by the Catawba was also used by the Choctaw, Chickahominy, the Nanticoke descendants of the Indian River and the Delaware, but it is not noted among the Eastern Cherokee of N. Carolina (John G. Witthoft, 1945). Chief Sam Blue described its use for hunting rabbits in the “fire patch”, as an area of burnt over brush was called: “Four or five hunters generally went together, each armed with three clubs to throw, and accompanied by dogs. When a rabbit tried to make its escape from the fire-patch they would throw clubs at it.” The club was also used to club animals when cornered in dens or brought to bay by dogs. The Rappahannock throwing club, used during the autumn rabbit drive, was fashioned from the base and trunk of a dogwood sapling and was about two feet in length. “The club end is the thickened base of the trunk near the ground. The bark is not scraped off. In experienced hands, the club becomes an effective weapon, being thrown in an overhand-sideways manner which sends it spinning at the victim. The dogwood club is heavy as a whole, the striking end outweighing the grip end. It was never hurled at a rabbit until the animal had started to run. A call or shout was given to start a rabbit when one was spotted in the grass. As the rabbit bounded forward the club was thrown to intercept it, which it invariably did when launched from an experienced club slinger. Two or three clubs thrown at a victim left little chance of escape. No throwing at a stationary target was observed.” (Rappahannock Taking Devices: Traps, Hunting and Fishing by Frank G. Speck,Royal B. Hassrick, Edmund S. Carpenter). The manner described by Speck of a side-wise arm motion to hit the ground ahead of the running rabbit, flushed by men or dogs, is the most effective way of throwing the rabbit stick. The side-wise flight of the thrown stick allows for a much better chance of intercepting the target as opposed to simply throwing it overhand, for there is more surface area to make contact with the target. 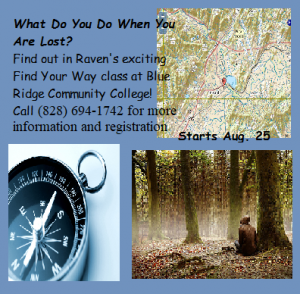 Try it and you will soon find out. The Hopi Throwing Stick illustrated is an example of the type used by many Southwest Indians as exhibited among a collection of 15 to 20 in the Milwaukee Museum. It is easily constructed from a small crooked branch with nothing more than a small hand axe to do the whittling with. Dimensions are not critical and no two are alike but all seem to have the characteristic curve, though some are thinner and lighter than others. The curved type resemble the boomerang, but are non-returning. Some have handles and some have even been found in the Southwest with a propeller twist to them. They were apparently used for long periods of time, for prehistoric finds have even noted repair reinforcements of sinew. The rabbit stick is even found in Egyptian culture. An Egyptian wall painting displayed in The Metropolitan Museum of Art, approximately 1425 B.C., shows a duck hunter armed with a throwing stick. 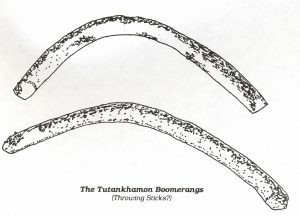 Also found in the Tutankhamon tomb were found what was deemed as boomerangs, more than likely they were non-returning throwing sticks. Most of us are familiar with the boomerang, usually a crescent-shaped stick which whirls through the air in a spiralling arc and returns to the thrower, if thrown properly. “The lighter weight returning boomerang was exclusively an Australoid invention and represented an elegant refinement on the art of stick-throwing.” (The Land and Wildlife of Australia by David Bergamini, 1964). The Australian aborigines’ everyday weapon, though was a heavy, non-returning boomerang which could be either thrown or wielded as a sword or club. Its sharp edge also made an efficient knife for butchering kangaroos, wallaby and emus by plunging it into the soft skin of the underbelly and pulling back sharply making a long, clean cut. Sometimes two were clapped together as percussion instruments for making music for many dances. 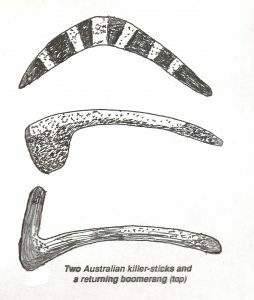 One Central Australian boomerang found has sharp, fluted ridges so that when it is drawn across the other, like a bow, a musical tone is produced. It was also used as a digging stick to dig a cooking pit, open up a well or ferret out a burrowing animal. 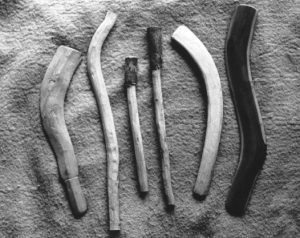 Boomerangs were also used to retouch stone blades and to start fires. The returning type was mainly used in games and tournaments or for amusing children, but it played part in at least one serious activity: the duck hunt. “Crouching beside an oxbow lake in one of the half-dry river courses, a duck hunter would hurl his boomerang above a flight of on-coming birds. At the same time he would screech like a duck hawk. Tricked by his calls and by the shadow of the boomerang overhead, the ducks would dive low into nets staked out or held up by collaborating hunters farther down the billabong. Instead of falling into the water, the boomerang, meanwhile, would land at the feet of the thrower and be ready at hand for the next flight of ducks and the next cast.”(op. cit.). 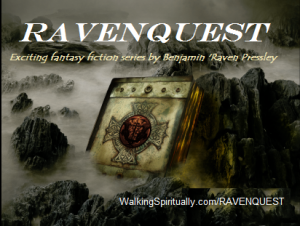 Be sure to buy my book! The returning boomerang is thrown differently than the non-returning throwing stick. The boomerang has a curved, convex surface and a flat surface. The boomerang is held with the curved surface facing toward the body. It is then thrown overhand, adding a sharp flick of the wrist as it is let go. It must be aimed at approximately a 45 degree angle to the wind to have it return properly, if there is any wind. 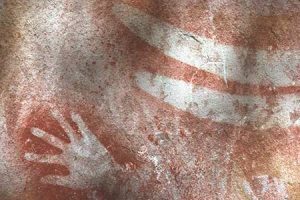 The Australian Aboriginal legend of the origin of the boomerang is interesting and amusing: “In the early days of Dreamtime, people had to crawl on their hands and knees because the sky was nearly touching the ground. An old chief came to a magic pool and he stooped down to drink. As he did so, he saw a beautiful straight stick in the water and he reached in and picked it up. Then he suddenly thought, ‘I can push up the sky with this stick and we’ll be able to stand up.’ So he pushed and pushed until he pushed the sky to where it is today and the trees began to grow and the possums ran about in the branches and the kangaroos started hopping for joy. Then he looked at his stick and saw it was terribly bent. Thinking it was no longer good, he threw it away but it came back to him. He tried again and it came back again. So he kept the stick and called it the boomerang.” (As told by Les and Arthur Janetski). As you can see from the examples cited above, the rabbit stick is found in many cultures all over the world. Though there is not archaeological evidence that it occurs in some cultures does not dismiss the fact that it may have been used in these cultures. 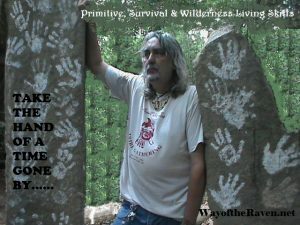 For it is logical to assume that the first weapon our stone age ancestors wielded was probably to pick up a stone or a stick and throw it. 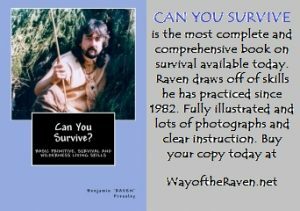 In a survival situation the rabbit stick is still a very useful hunting weapon, and probably the simplest to construct, most effective weapon you can have. I have used it successfully on many occasions. The most effective way I have found to use it is in a group by positioning throwers along sides of the field while others run the rabbits passed them. Of course, it need not be fancily carved, a curved limb will suffice. So, try your hand at several different designs as described in this article and see which you like best. Practice hitting moving targets, such as a rolled tin can as well as stationary targets. I think you will find it to be a fun and effective weapon from our aborigine ancestors.